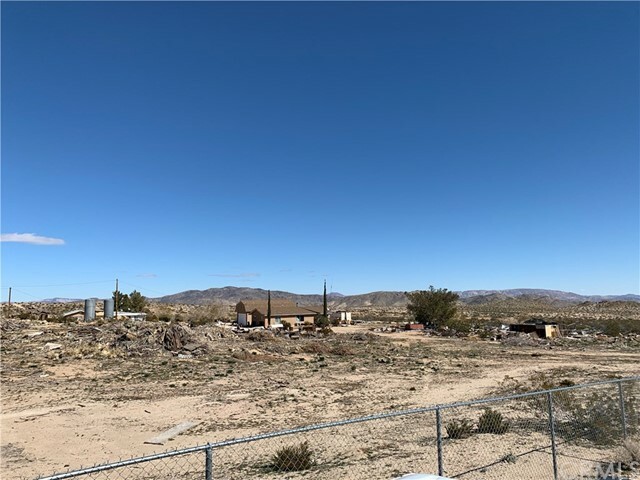 All Johnson Valley homes currently listed for sale in Johnson Valley as of 04/23/2019 are shown below. You can change the search criteria at any time by pressing the 'Change Search' button below. "Amazing Desert Gem with views all around you! Pictures speak for themselves! This home measures out to be 1576 square feet and is 2 Bed 2 Bath with beautiful Grey Quartz designer counters throughout and a cool gourmet style kitchen! Check out the 4 car oversized garage with opener! Plenty of additional sheds for storage, covered patio, laminate floors throughout, new hardware, lighting, fans and faucets throughout! Enclosed backyard, plenty of concrete driveways all around!. New Johnson Valley area is a gateway community to Joshua Tree National Park. Palms springs resorts, museums and airport are less than an hour away. Big Bear year 'round resorts only 45 mins. It's all nearby, you can do it all or just take the time to refresh your body mind and soul in the Hi Desert. access to the OHV riding area at Means Dry Lake, Johnson Valley. Hiking and camping across the road to the west in the Bighorn Mountain Wilderness Area!" "WOW. A GREAT OFF ROADER LIVING EXPERIENCE. 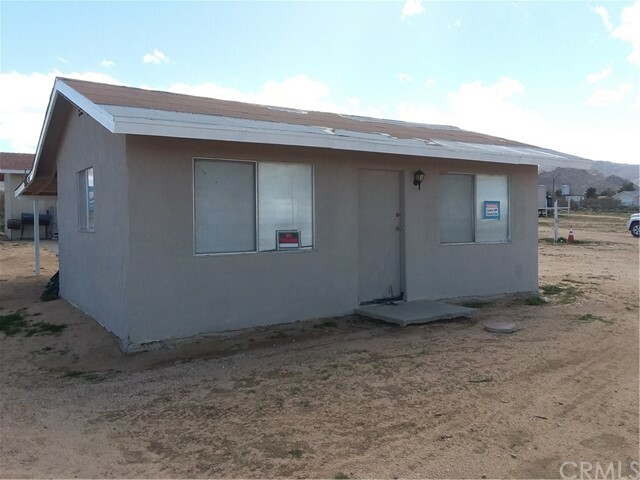 FIRST, WE HAVE A FULL SIZE 1980 KOZY TWO BEDROOM ONE BATH 720SF PERMITTED MOBILE HOME. NICE SIZE MASTER, ROOMY BATHROOM, COMPLETE KITCHEN SPACE THAT MELDS INTO THE LIVING ROOM. AMENITIES INCLUDE NEW DOUBLE PANE WINDOWS, NEW FRENCH DOUBLE ENTRY DOORS, NEW PLANK FLOORING, KITCHEN ISLAND, CEILING FANS, STORAGE AREAS, FRANKLIN FIREPLACE, EVAPORATIVE COOLER, AND TWO NEW DELLA MINI SPLITS LOCATED EACH END OF THE COACH, BURIED WATER STORAGE TANK WITH NEWER PUMP, NEW SEPTIC TANK, FULLY FENCED YARD, GARAGE WITH LAUNDRY AREA WITH DELLA MINI SPLIT INSTALLED, AND A GENEROUS FULL FIVE ACRES OF LAND. 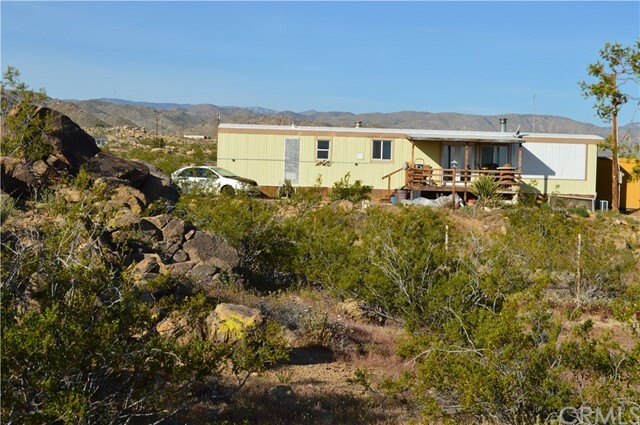 INCLUDED ON THE PROPERTY IS ESTABLISHED ENCLOSED AREA WITH A CUTE AVION 20 FOOT MOBILE HOME THAT COMFORTABLY SLEEPS TWO WITH SMALL KITCHEN, SITTING AREA, AND WITH HEATING AND AIR CONDITIONING. COACH IS IN VERY GOOD CONDITION. FIVE MINUTES FROM THE PREMIER LEGAL JOHNSON VALLEY OFFROADING AREA AND HOME OF THE LARGEST OFF ROADING EVENT IN THE STATE---THE HAMMERS! THE PANORAMIC VIEWS OF THE JOHNSON VALLEY DESERT ARE NOTHING LESS THAN STUNNING INSPIRING THE THOUGHT OF HOW THE DESERT CAN BE FERROUSLY DELICATE. EATERIES INCLUDE THE PIZZA PLACE, LA COPINE, JOHNSON VALLY COMMUNITY ASSOCIATION, AND THE HERO RESTAURANT. GROCERY SHOPPING AT THE HEROS, AND YOU UPGRADE YOUR SHOPPING EXPERIENCE ATTHE DOLLAR GENERAL. ALL WITHIN A SHORT DRIVE OF THE MOBILES. PROPERTY IS BEING SOLD IN ITS' PRESENT CONDITION---AS IS." "One Room cabin. Perfect for base camp for Off-Roaders. Interior has been arranged to accomodate a kitchen set-up (no plumbing), a bedroom/TV area, a corner breakfast nook. Roof overhang in the back creates a patio area. Great location with view of valley. Close to Boone Rd., entrance to the Johnson Valley Off-Road Park. Additional bldg. has 3/4 bath with shower, basin and commode. and Closet rack. Additional mobile home for sleeping with additional living area, approx. 40 ft long. 3 RV electrical hook-ups located in the yard. Two 2.5-Acre parcels, contiguous included in the sale. Parcel #0454-191-69 and 0454-191-70. Located on a corner lot for easy access. Pizza, gas, mini mart just a few miles away, yet you can enjoy the Hi-Desert and feel like you are 100s of miles away. Dark skies are wonderful for star-gazing. Our Homestead community center hosts Sat. breakfast and monthly dinners. It is our meeting place. See the miniature railroad, usually running on Sat. weather permitting. It's all here, the tranquility of the desert or off-roading adventures. 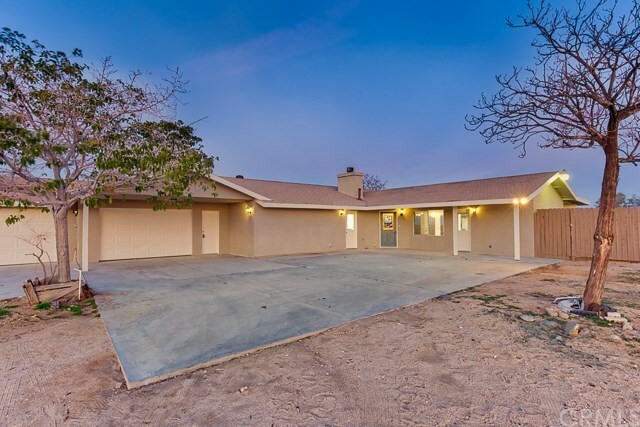 Take advantage of this well-priced property."